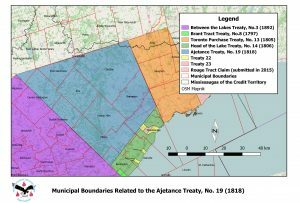 The American Revolution (1775-1783) compelled the British Crown to search for secure transportation and communication lines to its western garrisons as well as for ways to provision them. 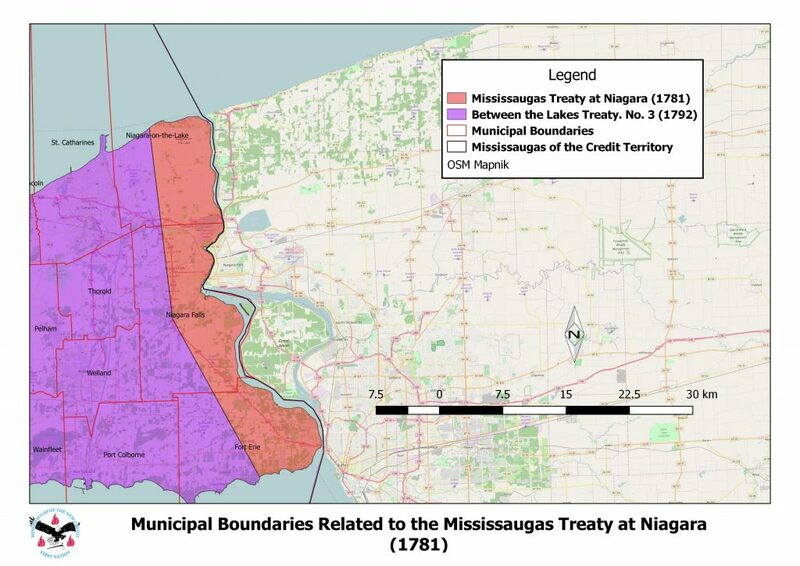 Observing that the west bank of the Niagara River would meet its needs, the British sought to purchase the desired land from the Mississaugas of the Credit. 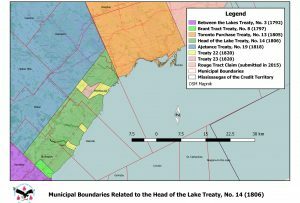 In 1781, Col. 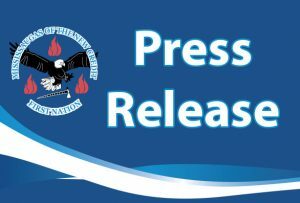 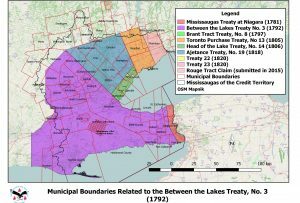 Guy Johnson, British Superintendent of Indian Affairs, met with Mississaugas of the Credit Chiefs and was able to purchase a strip of land four miles wide along the west bank of the Niagara River from Lake Ontario to Lake Erie in exchange for 300 suits of clothing. 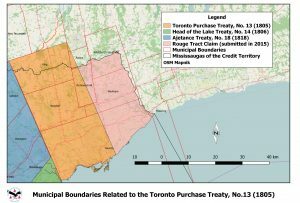 Johnson later indicated that the price of 300 suits of clothing was really no price at all as the suits would have been provided to the Mississaugas to secure their friendship. 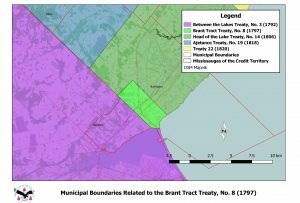 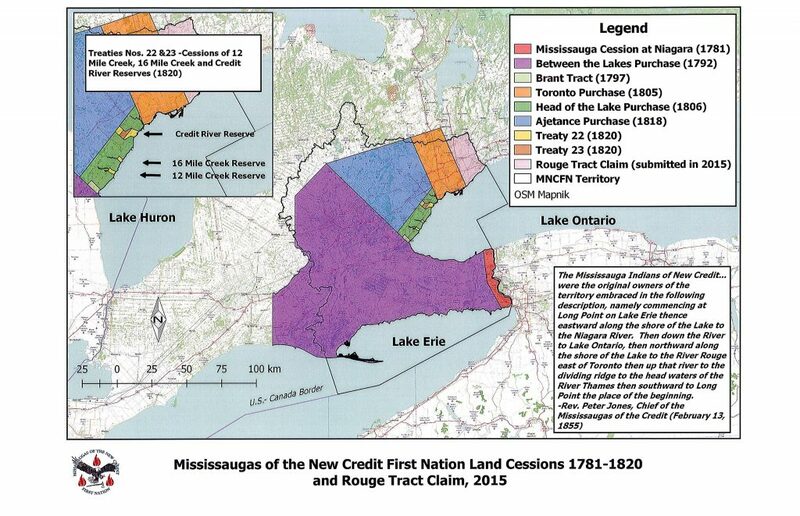 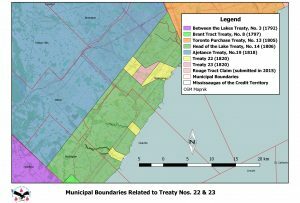 For the Mississaugas, the Crown’s purchase of the lands west of the Niagara River provided credibility to their claim that they were the rightful possessors of the lands they occupied. 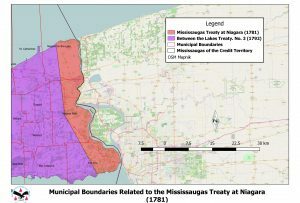 Major population centres found within the area of the Niagara Purchase of 1781 include Niagara-on-the-Lake, Niagara Falls, and Fort Erie.